Normal lengths : 9cm,10cm,12cm,15cm,18cm, 20cm,25cm,30cm,35cm, 40cm,50mm etc. Normal diameters :1.3mm,2.0mm, 2.5mm, 3.0mm, 4.0mm and 5.0mm. 100pcs/bag,100bags/carton .Personified design and logo are workable .up to your option. FOB Ningbo or FOB Shanghai.CIF. CNF .etc. up to your option. Samples cost, and need to pay the freight . Our pampany is a professional manufacturer of bamboo prouducts.we mainly produce bamboochopsticks(Disposable and reusable bamboo chopsticks),bamboo skewers etc.Our products are all made of 100% pure Mao bamboo,have passed high-temperature sterlizing,We have micro-wave ultraiolet machines ,before packing ,All of our products will go through these machines to kill possible germs and worm in the bamboo skewer.and then drying ,healthy,hygienic,convinient and safe to use ,Our products mainly export to Uinted states ,Japan ,South Korea ,We try our best to serve our customers with our high-quality products and fair price .Welcome to contact us . 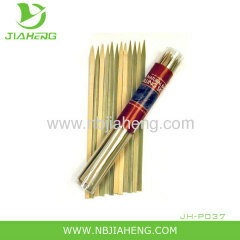 goods specification:round bamboo sticks,round bamboo skewers,knotted skewers,flower skewers,gun shape skewers,skewer with handle,golf skewer,BBQ skewers,round BBQ sticks and so on.high quality and cheap price .no mould exists ,clean and smooth ,healthy and convinient ,different packing methods are available . Dimension: 6mm wide,3mm thick and 20mm long . 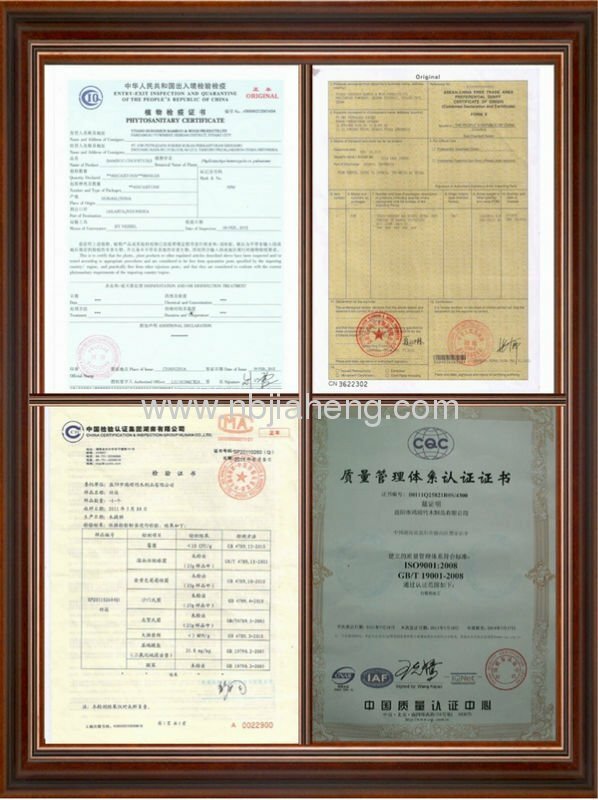 * Shape of the beads: Shape of the beads is according to customers' requirements. 3. processing: Kiln dried, degreasing, antisepsis, anti-mildew and straighten. 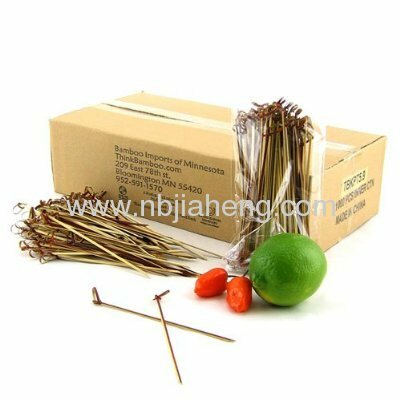 4. application: toothpick, BBQ skewer, flower skewer, coffee stirrers and other small sticks. We can supply the bamboo skewers according to customer's requests, the shape can be round, flat, square, also can make single pointed, double points as well as two ends flat. 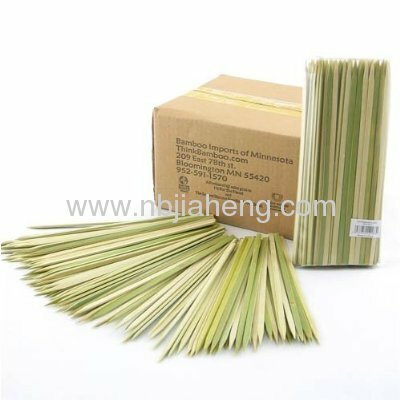 Packing can be made by requests, bag packing and box packing both ok.
Ningbo JIAHENG Bamboo skewers is a premier online superstore specializing in restaurant supplies and cooking supplies. As a trusted online merchant, satisfied customers visit our website daily to find the largest selection of skewers and party supplies that are perfect for custom events and special occasions. Our commitment to customer satisfaction allows us to ship orders rapidly and accurately after purchase is made. We have the ability to accept large orders and welcome bulk orders from hotels and restaurants that need a large inventory of supplies shipped in a timely manner. We have designed our website to be customer friendly and to include updated and accurate information about the products that we carry. The clear descriptions and color photos provide exact reproductions of what is included in your order. Whether the order is for personal use or use in commercial industries, we work hard to provide the products that our customers need to use to have a successful dinner or special culinary event. We are committed to providing quality bamboo skewers and excellent products to our entire network of customers and food service professionals. Barbecue skewers are a grilling utensil that makes it easy to cook small pieces of food together. There is a wide variety of BBQ skewers. Some are used to place directly on the BBQ grill, while others are used in conjunction with a rotisserie . 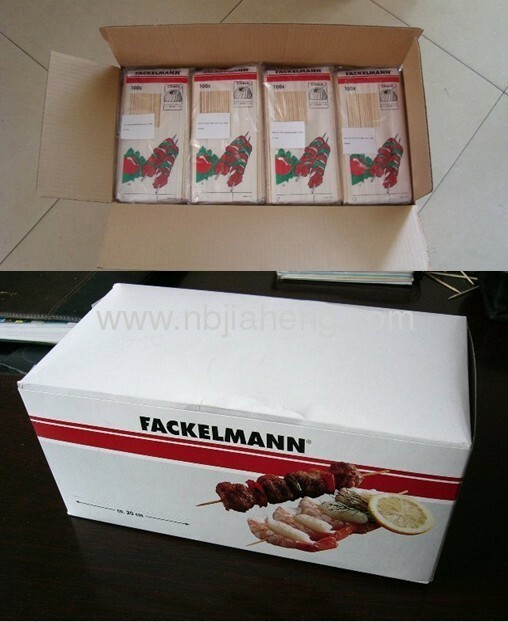 These skewers can be used with all varieties of meats, seafood, chicken and vegetables. Though some sellers of bamboo products claim the bamboo skewer originated in Japan, this simple cooking tool probably developed independently in many locations where bamboo grows. Bamboo splits easily, but shows greater resistance to bending. Thin shafts of split bamboo find many uses today including darts, chopsticks, toothpicks and cooking skewers. Bamboo skewers replace steel skewers in many grilling and serving tasks.